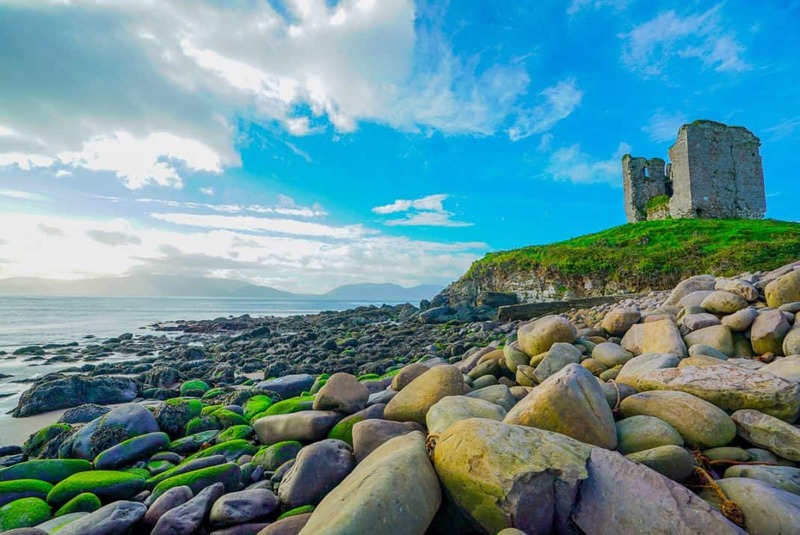 Ireland’s West Coast boasts some of the country’s most photogenic and awe-inspiring landscapes where County Kerry is King. Winding roads lined with stone walls lead to expansive, often empty beaches. 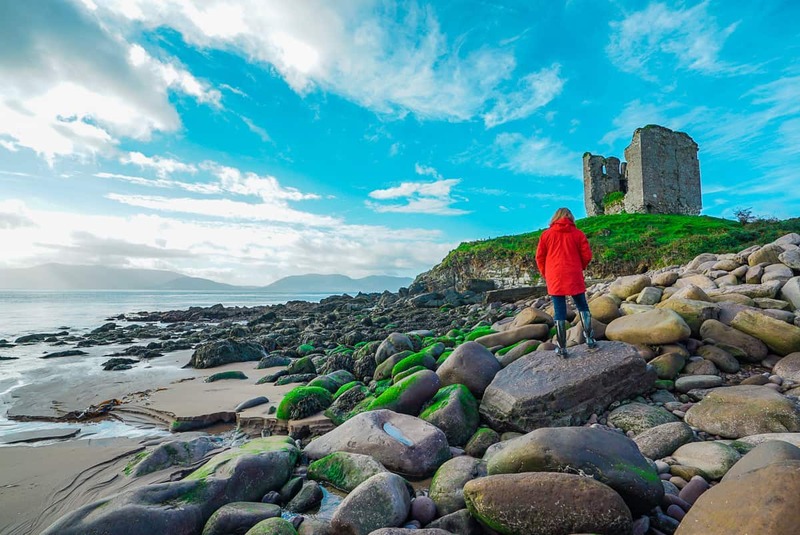 Panoramic views from high above sea level reward explorers with emerald pastoral scenes that have created the iconography of Ireland’s tourism literature. 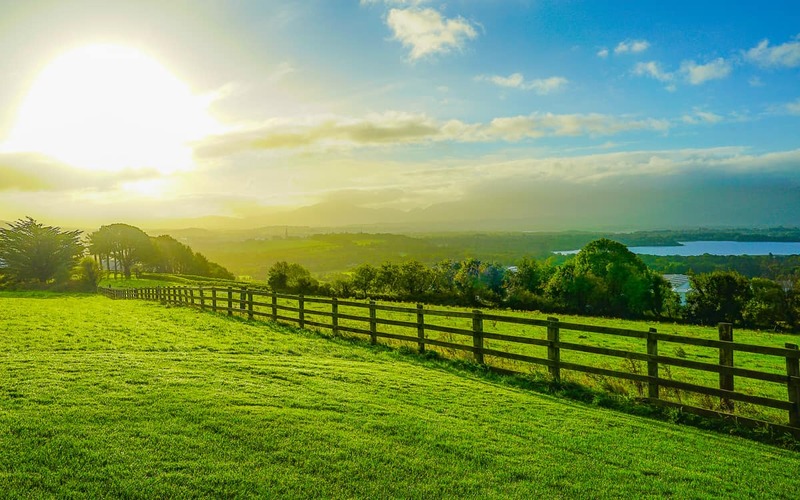 When the sun comes out prepare to fall in love with Ireland. Why County Kerry and Killarney? 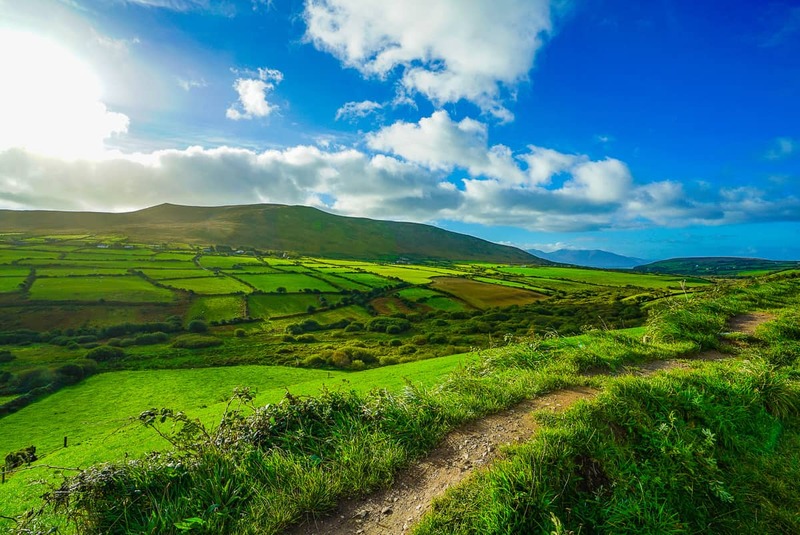 County Kerry is a tourism driven area for its natural beauty. It offers lakes, mountains, and coastline. There are large national parks, historic estates to tour, and its a popular destination for visitors from overseas and within Ireland. Killarney is the most logical place to make as your base when visiting Kerry. It is well positioned to buses, airports, restaurants, and area attractions. And for the brave who rent cars, it is centrally located to many popular destinations to enjoy both the area’s lakes, national parks, and Atlantic coast. 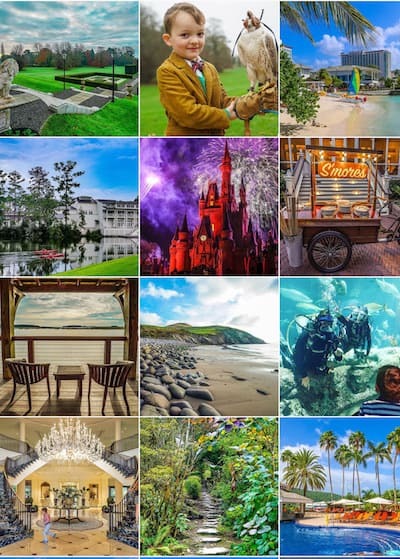 Be sure to read our guide to the best castle hotels and resorts for families around Ireland if your travels take you to other counties. Overlooking Lake Leane in the distance on a sunny morning in Killarney Ireland. Even though Cork is the second largest city in Ireland, the airport is small and easy to use. Cork provides easy access to County Kerry. A car service from the Cork airport will cost 125 Euros to a Killarney area hotel. For additional fee, the driver can stop at Blarney Castle . Norwegian offers low fares to Cork from Providence, Rhode Island. If you live in New York or Boston areas, this is a great option for families wishing to spend more in Ireland than airfare to Ireland. 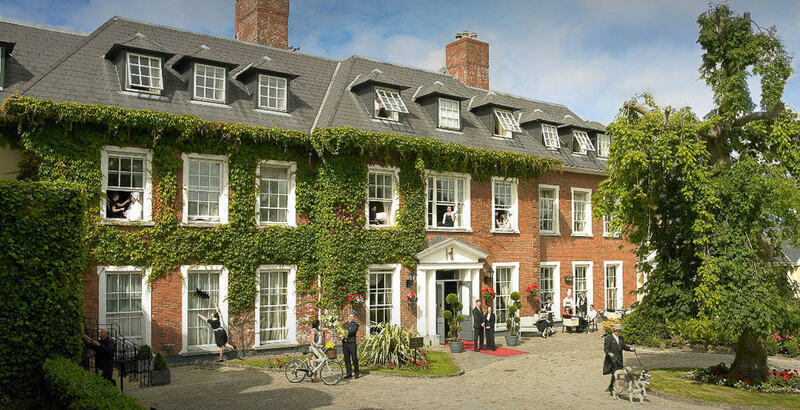 The Hayfield Manor in Cork is a five-star option. The Kerry Airport offers connecting service on Aer Lingus with US flights landing in Dublin. This airport is about 20 minutes by to Killarney. Ryan Air also provides service to Kerry from London’s Luton and Stanstead Airports. Note that flights originating in the US will land at Gatwick or Heathrow, and these two airports are not close to Luton and Stanstead. 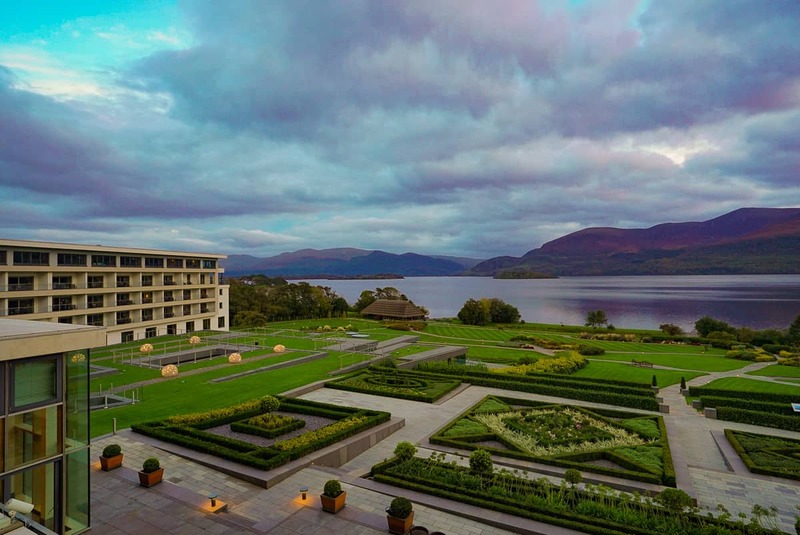 The Europe Hotel is a lakefront five-star hotel about ten minutes from Killarney town center. I had friends tell me how stunning the property was, and when my taxi pulled in, I was a bit nervous. The road-facing side of the property doesn’t reveal what you will find once inside. 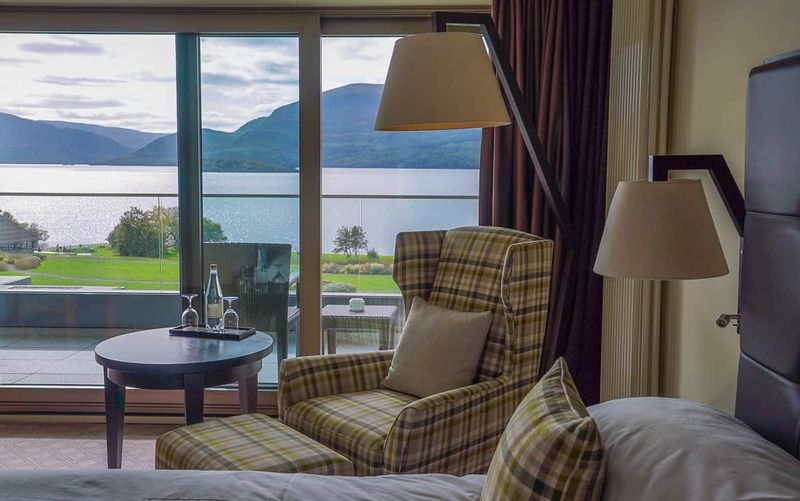 The Europe Hotel and Spa in Killarney is lakefront and balconied rooms worth their upgrade. The white modern building in the shape of the letter “u” hugs spectacular gardens that slope down towards Lake Leane. You’ll hear people’s voices and laughter and not know where they are coming from as you stroll half way down to the water’s edge. Protected by hedges is the spa’s outdoor, lakefront hot tub. Bring swim suits, as this was an aesthete’s dream. The whole spa is stunning, and guests are encouraged to come to the pool in the robes and slippers provided in their rooms. A couple dressed in robes brought their four month old baby for her first swim. I was sad to learn every appointment was booked during my stay, so note that you must book prior to your arrival to avoid disappointment. This was even midweek! The Europe Hotel’s gardens still offer festive color in the fall. 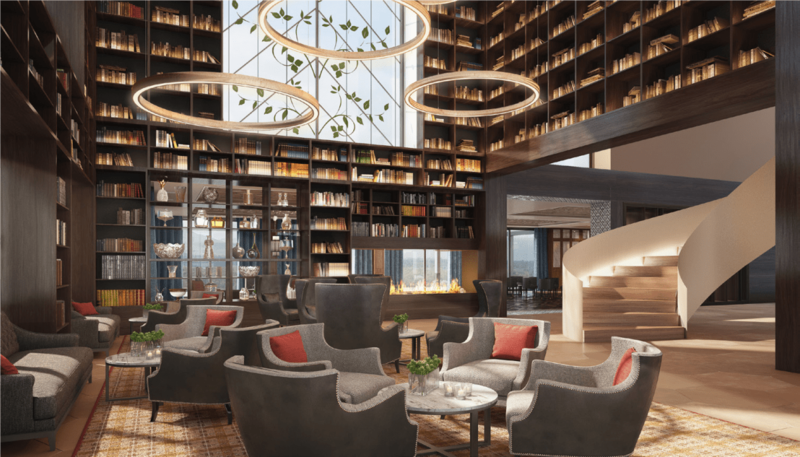 There are also fitness facilities, scheduled classes, personal training, tennis courts, and a spa café when you have the urge to eat among strangers wearing a white bath robe. The Europe has an onsite playground and welcomes children with teddy bears and extensive amenities for infants. Standard guest rooms have large dressing areas with built-in closets in between the bathroom and bedroom that can accommodate rollaway beds easily. Splurge for a lake-facing room with a balcony at the Europe. Rooms and bathrooms offered every convenience including electronic options to charge iPhones without any power accessories, great for those who forgot them! A bountiful breakfast buffet is included in the rate, and I saw staff fawn over children when offering them pancakes, Nutella, and custom omelettes. Their gluten-free selection was extensive, too. The ultimate family hotel in the area is the sister property, The Dunloe, which is closed until May 2018 for a complete renovation. The Dunloe proudly is considered one of the best family resorts in all of Ireland. 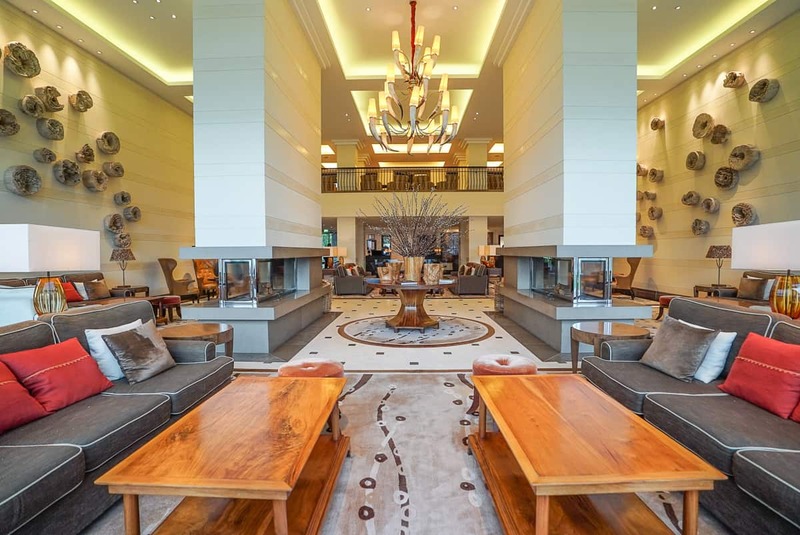 An innovative kids’ club and program and family rooms are what sets this property apart. General Manager Jason Clifford has young children of his own, and he knows what parents wants. 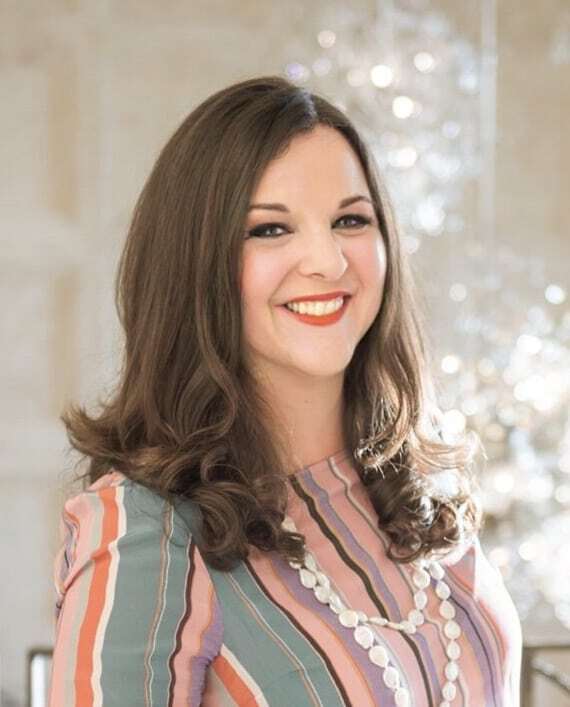 Children have their own meal time between 5 and 6pm and then participate in the evening program at the D club so that parents can enjoy fine dining alone. The D Club offers far more than movies and coloring, so consider planning your vacation during the summer months or vacation times when it is open. Kids partake in treasure hunts, adventure walks, and dances. There are several vacation homes to rent in County Kerry and the surrounding area, too, if you wish to have a kitchen and more space. The biggest question for families is balancing the needs, comforts, and energies of children while trying to access Ireland’s scenic views. After a few castle ruins, the novelty may wear thin. The best solution is to be active outside. Me taking pictures on the Dingle Peninsula. Photo by Kirsten Maxwell of Kids are a Trip. How well will your family enjoy driving around looking at beautiful scenery? How long does you family last before sibling bickering, navigational disagreements, or puking children takes the love out of a road trip? They are always so much more fun when we plan them than when we take them. Hire a driver if you drive on the right side of the road at home. A six-hour drive with a private company will cost about 250 Euros. Families can spread out in an MPV (That’s the Irish term for mini van) and relax and focus on the scenery and while keeping kids content in between stops. Depending on the age of the child, the tour may require some creativity to keep them engaged. Consider coming prepared with a copies of a map of the route, stickers and crayons for kids to create a journal entry at each stop and think of a list of silly family photos at these stops that must be done by the time the drive is complete. Although this sounds like some work, the pre-planning effort will make some fantastic family souvenirs and photos and keep children eager on the next stop. Discuss with your driver in advance which stops are your priority. 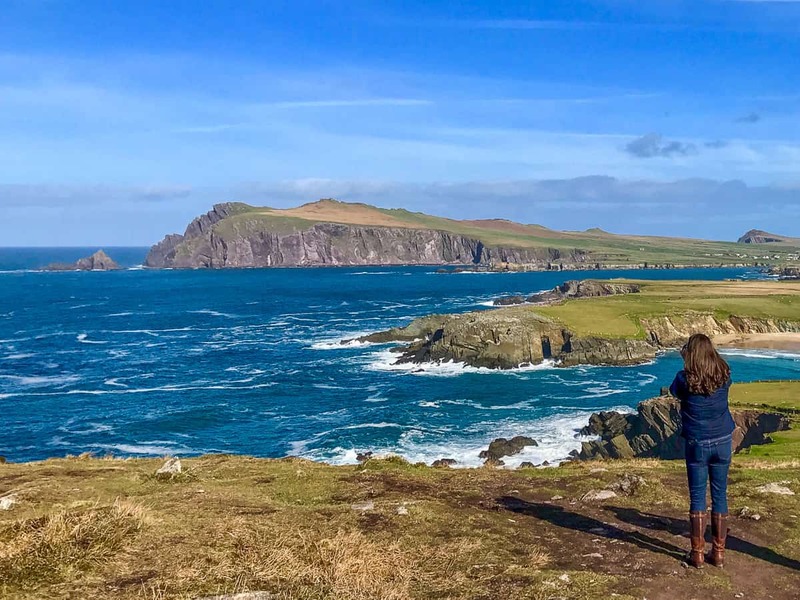 We loved the Dingle Peninsula with its hidden beaches, cliff views, and a charming, multicolored tourist town with ice cream shops restaurants. 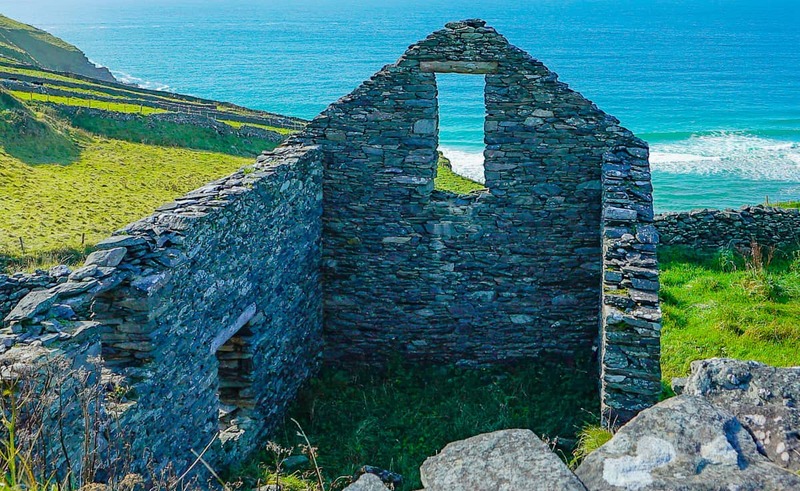 Remains along the Dingle Peninsula. For taking a break from the oohs and ahh of the Wild Atlantic Way vistas, Dingle offers a dolphin tour to capture glimpses of Fungie the resident Dolphin who swims freely in the harbor, a climbing wall and indoor playground called Explorer’s World, the Ocean World Aquarium, and the Scanlon’s Pet Farm. Murphy’s Ice Cream is a local company, and I really wanted to love it. It was OK. I kept trying flavors to find one that was calorie worthy but didn’t. 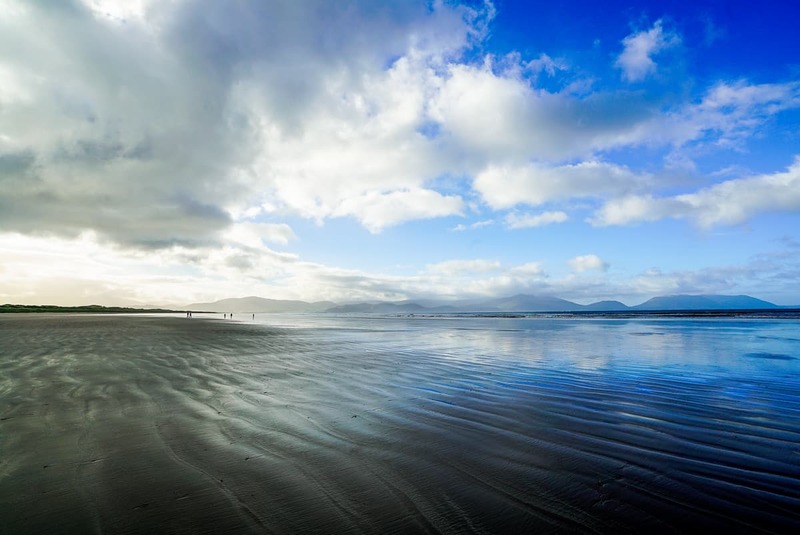 Inch Beach has incredible flats that make long walks on the gray sand irresistable. There’s a really affordable and charming rental home across the street, too. Inch Beach seems wrongly named. 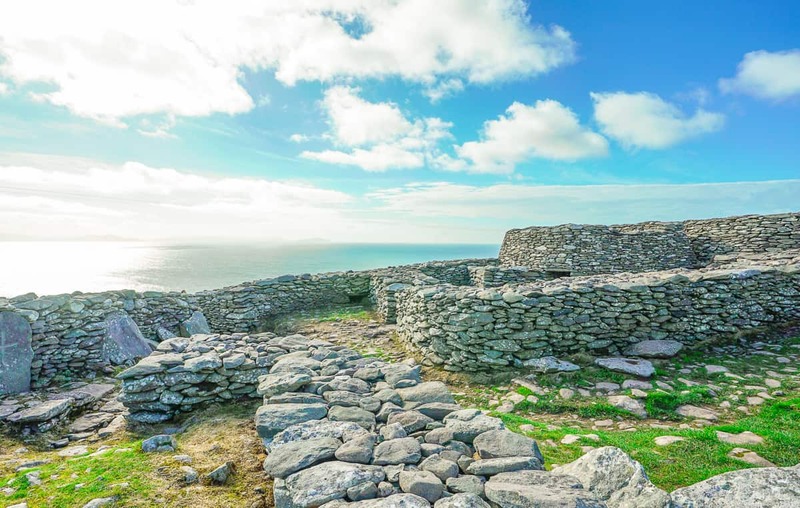 If you take drive from Dingle to tour its coastline, you can intrigue your kids with seeing the real life island that stood as the Jedi Temple at the closing scene of The Force Awakens and will be featured in the new film, the Last Jedi. The Skellig Michael Island has remains of an early Christian monastery that is a UNESCO World Heritage Site. Domed structures of thousands of grey rocks that reminded me of the Trulli one sees in Puglia, Italy. This type of rock work can be seen in other variations on the drive in the area. Have children search for “Jedi Rocks” to keep them looking out the window. Beehive style rock structures are found along the coast of Kerry in Fahan, County Kerry. The Gap of Dunloe is one of the most popular ways to enjoy the diverse landscape of the area, but it is a day’s commitment that may be too much for your children. I know active families who regularly hike together who would love this experience that includes nice places to enjoy boxed lunches made by the hotel. The circle tour includes three stages that can be done in either order. After driving to Kate Kearny’s Cottage, guests make a journey to Lord Brandon’s Cottage through the Gap by horseback, on foot, or by jaunty cart, pulled by horse. This six mile journey takes between two and three hours on foot. From Lord Brandon’s Cottage, the circular direction completes with a water journey by boat through lakes and rivers to Ross Castle. This ride takes 90 minutes. But what if this sounds like too much activity for your brood? Families can arrange just the boat ride to Lord Brandon’s Cottage round trip, but that is still a 3 hour boat ride roundtrip. Or drive to Kate Kearney’s Cottage for meal. At the beginning of the Ring of Kerry near the Dunloe and Europe Hotels, Killarney High Ropes offers an adventure ropes course and paintball course for some serious outdoor fun. Children five and older are welcome. This adventure park is open seasonally, from Easter until the end of summer. 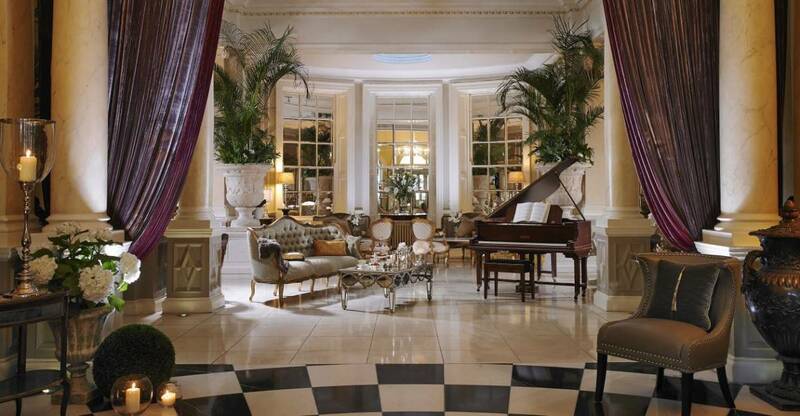 The Malton in the heart of Killarney offers a more formal environment and traditional afternoon tea. Their tea service is in a room off of the main lobby with big, comfy sofas and a bargain at only 22 Euros. Just order for the kids and enjoy their leftovers while you sip on champagne. The portions are generous and each guest is given a box to leave with any leftovers. The Malton serves an elegant afternoon tea for the family in Killarney. 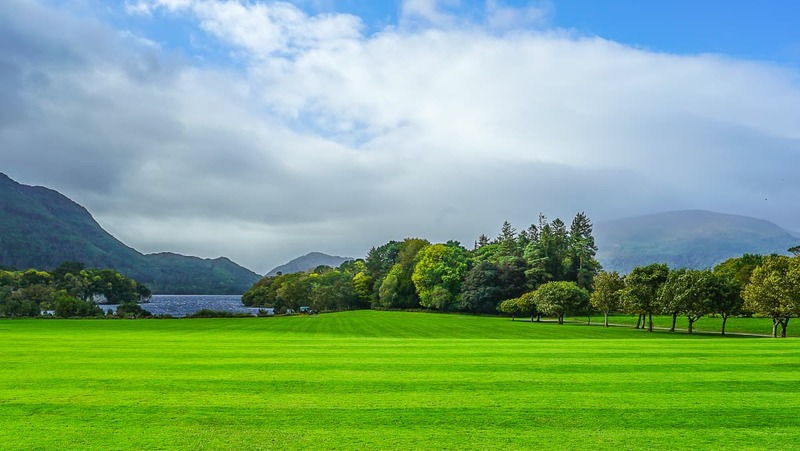 Muckross House is surrounded by the national parks of the area and is one of the easiest ways families can enjoy spectacular lake views of Killarney while enjoying some local history and culture. The historic residence was built as a hunting lodge, and is only accessibly by private tour which lasts one hour. 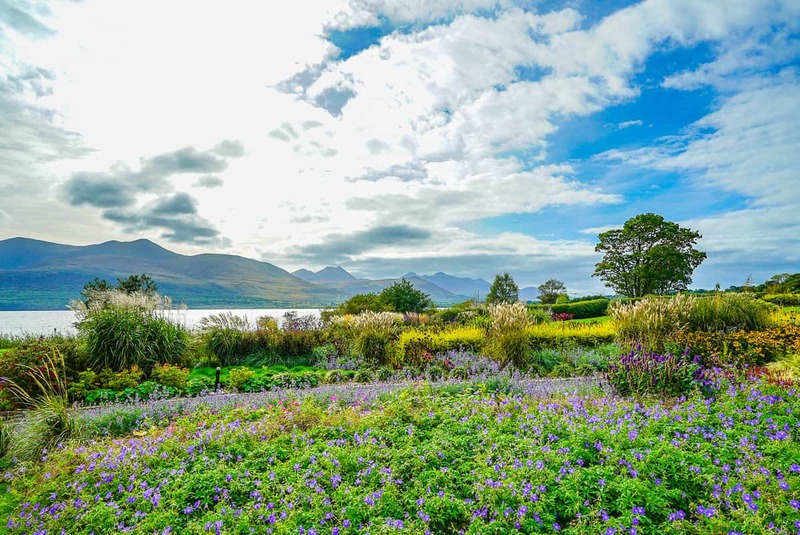 Muckross House and its formal gardens are set on land the size of a national park. While one parent tours the home to hear its fascinating history, the other can explore the expansive gardens and stone paths with the kids and switch. After, families can hire a jaunty cart (small horse and buggy) to circle around the property and reach spectacular views of the Killarney Lakes and mountains. Families can hire a horse and buggy to explore the property. There are traditional farms on the property to tour as well. Children under age five are free, and families can purchase combo tickets for up to three children for farm, house, and garden tours. There is a cafeteria on site and crafts center with an extensive selection of local merchandise. 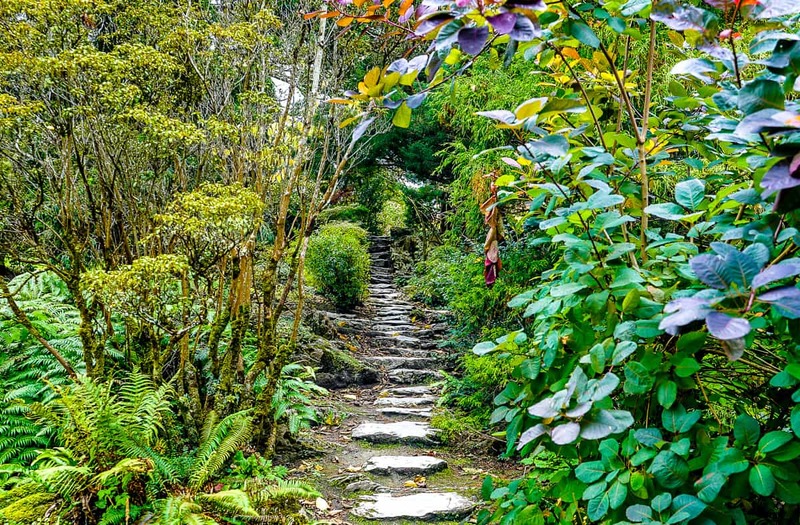 Gardens show hidden stone paved paths where children can explore to look for fairies. 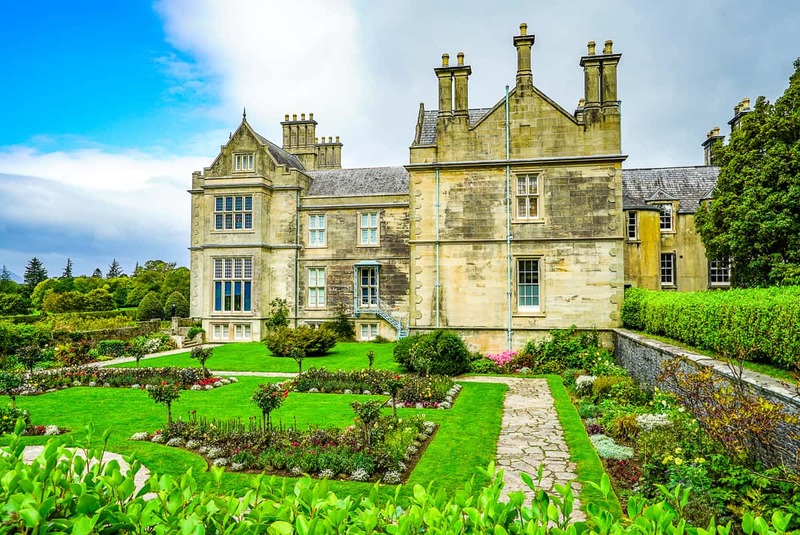 Muckross House easily offers scenic vistas, hidden garden trails, experiential history of the area, and the chance to enjoy locally made wares, so I think it is a must for every family visiting the area. Be sure to subscribe to receive notice our next feature on Dublin and Kildaire.